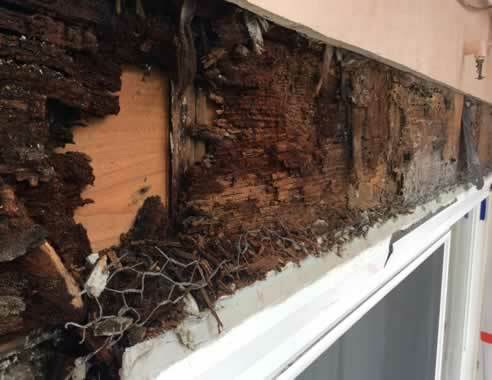 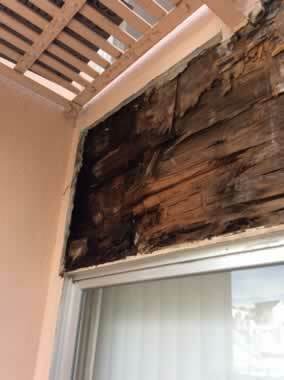 Water intrusion through the unprofessionally installed windows and sliding glass doors. 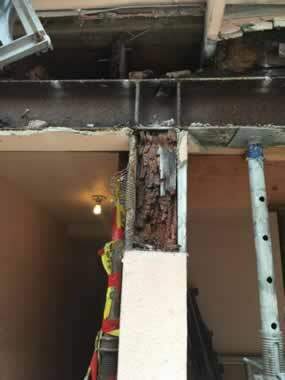 All sheathing and structural members were completely rotted. 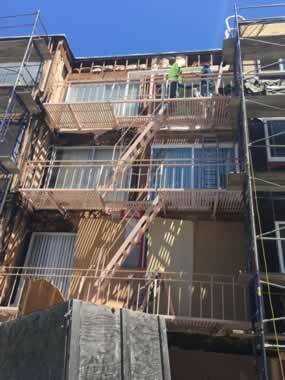 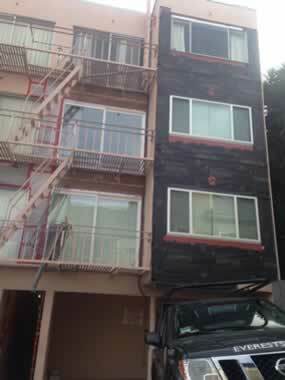 We reconstructed the entire facade and finished with Hardie Siding.